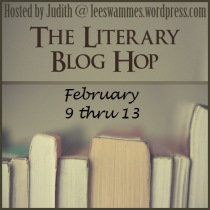 I'm giving away a copy of Aesop's Fables and The Odyssey to two lucky readers! You must choose which book you want and I will draw a winner for each book. Two winners will be picked through random.org on February 14th and will then be contacted by e-mail as well as announced here on my blog. The winners will have 48 hours to respond and if they fail to do so I will draw new winners. Thanks for joining in the giveaway hop, Birgit. Hope you'll have a great time! Oooh, I want BOTH, lol ;) Thanks so much for the giveaway! There you are! I started missing you in the blogosphere, though I believe you've been quite busy moving, right? P.S. : Glad you liked the souvenir package, yay! Great books. Thanks for this opportunity. I have been trying so hard to find blogs and blog hops that focus on adult literary fiction, thank you so much for this giveaway. This is a wonderfully generous giveaway, thank you! I look forward to this hop twice a year and am sad that I spaced on entering it this time (oops!) I get so tired of the romance and/or vampire giveaways, neither of which I read. A chance to win some literature is great!